No final de seu cruzeiro, saia do terminal de cruzeiros de Southampton e visite Stonehenge no seu caminho para o centro de Londres. Não há necessidade de encontrar o seu ônibus, pois este é um serviço de traslado particular. 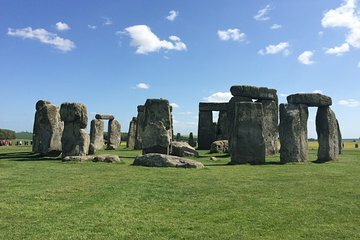 Descubra o mistério ao redor de Stonehenge no seu próprio ritmo. Viator picked my husband to teenage granddaughters and myself at the port and by way of Stonehenge transported us to the hotel. We stopped and went up to see the site had lunch went shopping and was dropped off at our hotel. A wonderful afternoon!